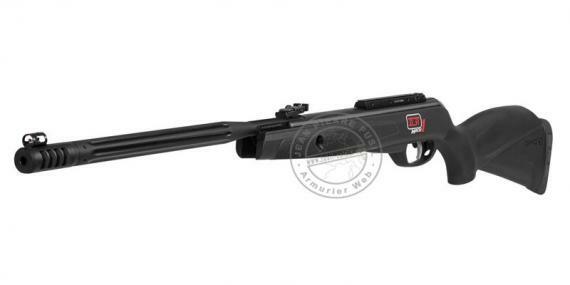 All the latest GAMO technologies concentrated, on a classic basis of black 1000, this rifle is a must, in the family of the recreational air rifles. Perfect for shooting or plinking, it can receive a scope, to improve the acuracy. With 29 Joules, it is in C category, and can't be sold out of France. The natural sigths have optic fiber. The safety is a manual lever.